Before the roof was on. Spirit as souls were saved and hearts rekindled with many now burning brighter for Jesus! God has also answered the prayers of this Church, since the revival the roof is on, windows and door are in, and they started pouring the cement floor. Pastor Romero and flock are rejoicing in Flores Magon! I John 1: 3 speaks to us of fellowship with each other, the Father and with His Son Jesus Christ all centered on the Gospel. We are always looking for ways that our teens can meet other Christians their own age and have that fellowship with other believers. Recently our teens from the Children’s Home, the Church in Constitucion and the work in Flores Magon were invited along with Pastor Ruben Parra to celebrate the anniversary of the work in Senaloa by having revival services and camping there. To make the twelve hour trip safely we needed tires for the van which God provided! It was a good trip for the teens where they meet other teens, played games, attended the services which had great preaching and singing. They came back rejoicing, thank you Jesus for making it all possible! The revival and fellowship continued on in July as Pastor Parra held the third Annual Conference of Baptist Churches in Constitucion. Wow! What a blessing it was to have so many Pastors and their families from Senaloa as well as those closer. The singing was great and the preaching was both compassionate and challenging. I had opportunity to challenge the men about the harvest and labors. They bought and killed a pig and prepared a lot of fruits for the last day of the conference. What a good time we had, wonderful food, fellowship, and a warm and blessed environment. Six people came to Jesus for salvation during that time and Angela, the oldest girl in the home surrendered her life to Jesus to be a missionary wherever He wants! Many times children are placed in the home due to some really bad situations. For many it is the first time they are loved, cared for and safe. Recently six children were taken from the home and placed back with their families. This is always an agonizing time for us and the children. It is out of our control, but not out of the Lord’s hands. We take comfort in that they left knowing Jesus. Please pray for them. We took in two more children that same week and they have already trusted in Jesus. Uniforms and school supplies have been bought and all the kids are back in school. Rosa is back in college. Thank you Lord! We continue to covet your prayers for Connie’s health. She had a bad reaction to her last blood transfusion but the Lord brought her through it. Her blood count is going down again and her iron is low. She is going to have an iron infusion this week to see if it will help. We don’t know if she will be able to have another blood transfusion. It is all in His hands. On my eye, there has been some improvement in the eye itself but not in the vision. I am also experiencing a little trouble with joints that just comes with age. Please pray for the Church in Casas Grandes and Pastor Ruben Robles as they will be having their mission conference September 11-13th. The Lord has supplied sufficient funds to carry the Children’s home through the end of the year, thank you for praying and giving to the Lord in support of His ministry here! We had many souls that were led to Christ during the summer months with twenty eight saved in Vacation Bible School, the two from the home, six in Sunday morning services with four following the Lord in Baptism. As always we want to thank you for your faithful payers and support, may God greatly bless each of you for your service to the Lord. Churches: Poncho, Patty and family remain faithful as they reach out with the love of Christ in Flores Magon with an encouraging smile and a growing testimony for our Lord. Ruben Parra who is pastor in Ejido Constitucion recently had a heart attack he is recovering and doing well. The doctors put him on medications and will be checking him again at the end of October to see if they need to do more. 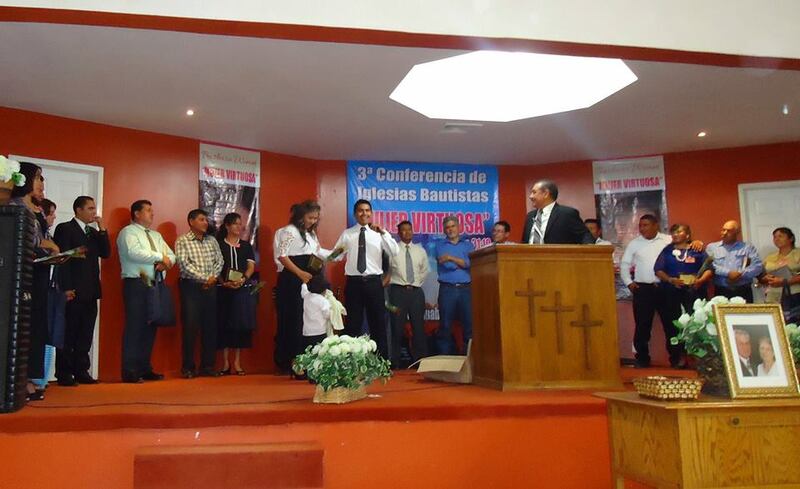 Ruben Robles one of our institute graduates spent 21 years as pastor in N. Casas Grandes, after finishing their 20th mission’s conference he resigned handing the church over to a new pastor. 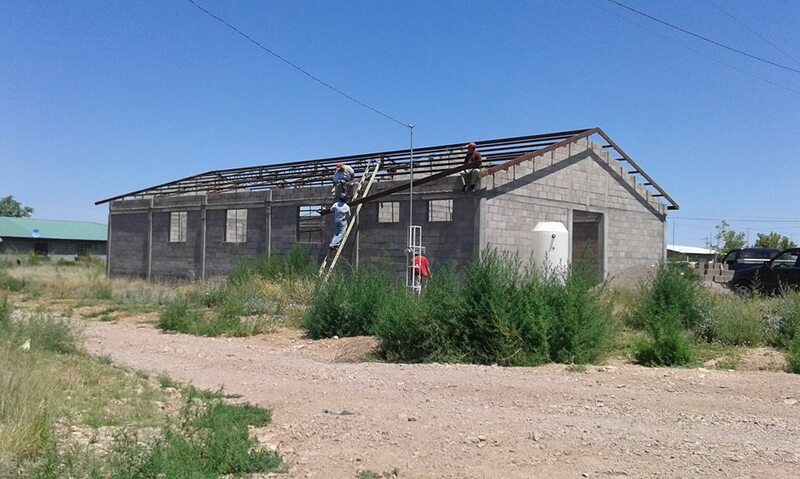 Leaving the church at its best and with 18 students in their Bible Institute, he accepted the call to pastor and restore a diminished church in Deming, NM. Children’s Home: Of the two missing children Irene was found with her older sister in Madero. Laura has not been found. Rebeca is no longer at school in Bocoyna but is back in the Home with her brothers and sister in Constitucion. Elena had a beautiful wedding August 27th and now lives with her husband on the next corner near the C. Home. Brenda and Gloria need glasses. Elerzar and his brother Pablo need special schooling. Jesus and Yuly the house parents lost their first baby but in November by all reports they are expecting a healthy baby boy, “Praise the Lord”! There are 22 children, and the house parents living in the Children’s Home, a lot of challenges for each day in meeting the needs of their body, spirit, and soul. We look to the one, the only one, for we know that with HIM nothing is impossible! Our Health: Tuesday we were told by Connie’s Hematologist that her body maybe succumbing to the C.R.E.S.T. disease, they had been giving her Aranesp injections; it is not working as it has in the past. Her hemoglobin has taken a dip; they have run many tests to see where she is losing blood with no results. Tomorrow they are running a nuclear blood test to see if they can find the problem. I had skin cancer on my face; I think it has been resolved. I had an Endoscopy & Colonoscopy this past Wednesday we are waiting for results. Drug Cartels: They kidnapped and killed a young man in our village this month and we know a woman they are looking for to kill, she has left the area to go into hiding. THANK YOU FOR THINKING OF US, FOR PRAYING FOR US & SUPPORTING US FOR SO MANY YEARS. “GOD IS SO GOOD”! “He gives the increase.” The churches are reaching out to the lost. The Cartels continue to kidnap and to kill. Two of the girls are missing from the home, we have two new children, 5 graduating and Elena will be getting married. Connie’s health remains frail. Goals for the summer and Gratitude! 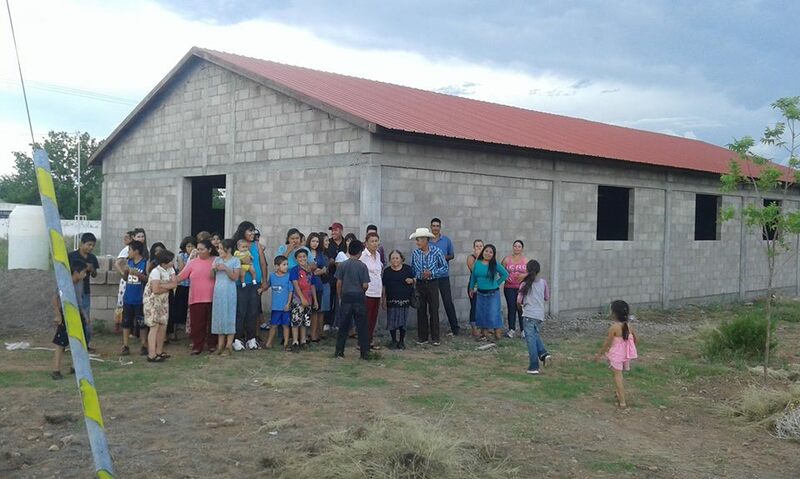 Churches: The church in Constitucion and Flores Magon had a contest for one month to bring visitors to church, the leader that lost would have his tie cut, the first Sunday 52 visitors, and every week more, the last Sunday 208 visitors came, 60 were saved that month. Nobody lost because of souls that came to Christ! The following month revival meetings were held in Flores Magon, souls have been saved and both churches are growing! “Nine were baptized this past Sunday, Praise the Lord”! Drug Cartels: Two men that had attended the church in Constitucion have been murdered by the cartel, one was a policeman and the other a farmer. We are told that some of the hit men for the cartel live in our village? Children’s Home: Irene and Laura were missing after church on Wednesday about 3 months ago, we have looked everywhere possible for them and don’t know if they ran away or someone took them? We are praying they just ran away and are safe living with family in another area? Two more children have been added to the home Ramon age 5, and Lupe age 7, half brother and sister to Luis, Rebeca, and Jesus. Five of the children are graduating this year from kindergarten up through High School. Elena the oldest was 13 when she came to us and had no schooling, is now 20 graduating from High School, getting married in August to a young Christian man from church and plans to go to nursing school as soon as she can! Health: Connie’s health still remains unstable, in one year she was given 18 units of blood. The past 4 weeks her blood count has been good she is still anemic but the count is up compared to what it was. The C.R.E.S.T. disease she has is attacking her lungs, blood, and immune system, leaving her with fatigue and lack of oxygen. She is on oxygen full time and goes weekly for lab work and a shot. Summer Goals: If it’s God’s will evangelize in the towns & villages, build cisterns for the water use in Children’s Home, repair and finish some construction. Encourage in this time of adversity anyone we can. Gratitude: We are grateful for your faithful prayers, support, and special help for the kids and us, God is always so good! Hello, my name is Eldon Tudor and this is my wife of 47 years, Connie. Commissioned and sent by the First Baptist Church of Milford, Ohio, we have been reaching the Mexican people together since 1976. We want to thank everyone for their faithful part in our ministry, for all of the prayers and support for these many years. With your help, God’s grace and co-laboring with the people of Mexico we have been able to share the Gospel with thousands, start several local New Testament Churches with graduates from the Bible Institute and ten years ago start a Children’s home to rescue and evangelize destitute children. 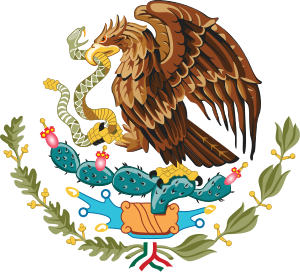 As you see on the news, Mexico is in a state of turmoil; their only hope is the Lord. Our burden for these people has not changed, we plan on continuing to do the same things that we have been doing, reaching the lost, teaching them to love God and be faithful until He comes for us. One more valley, one more mountain, one more town, one more village, one more child rescued, one more soul saved we will continue to be co-laborers together with you that as Paul said, more souls “will abound to your account”.